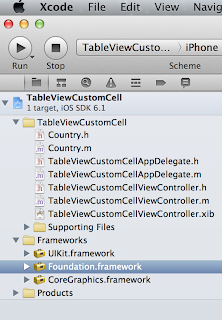 In our previous tutorial we learned how to create a custom UITableViewCell using a xib file. 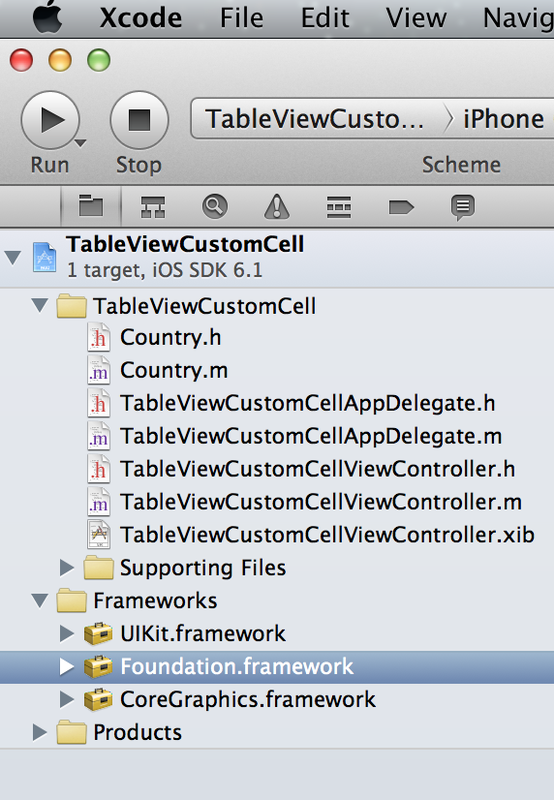 My personal preference is to define it programmatically as it takes me less time to code. In this example we basically recreate the same custom table cell view which displays our country information and a button that can be used to further drill down to say a detail screen about that specific country. 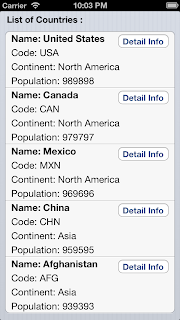 //  Created by Developer on 6/10/13. //  Copyright (c) 2013 MySampleCode. All rights reserved. 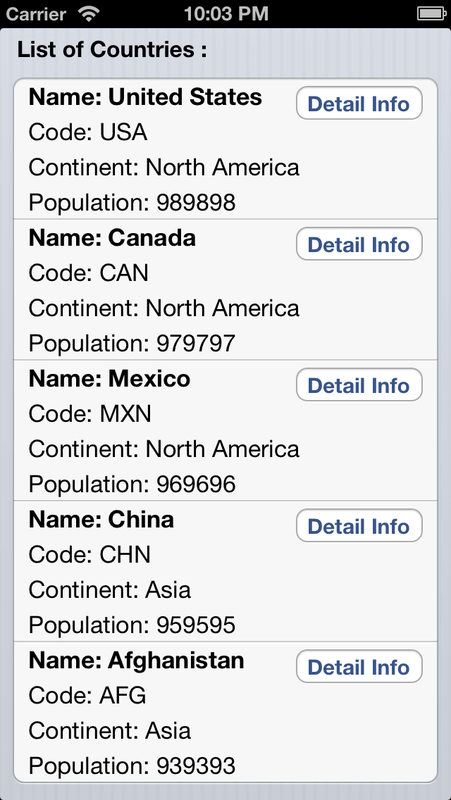 Country *country = [[Country alloc] initWithCode:@"USA"
country = [[Country alloc] initWithCode:@"CAN"
country = [[Country alloc] initWithCode:@"MXN"
country = [[Country alloc] initWithCode:@"CHN"
country = [[Country alloc] initWithCode:@"AFG"